Having cooked countless meals in your kitchen, the cabinets are now covered with stubborn gunk and grime. 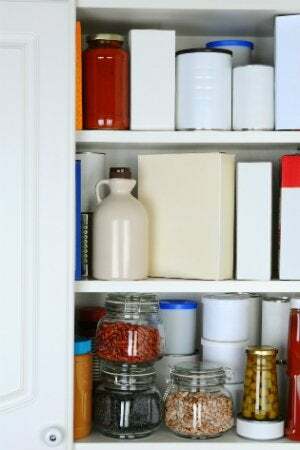 Learn how to use common pantry items to prepare a cleaner that can leave your cabinetry looking spotless again. 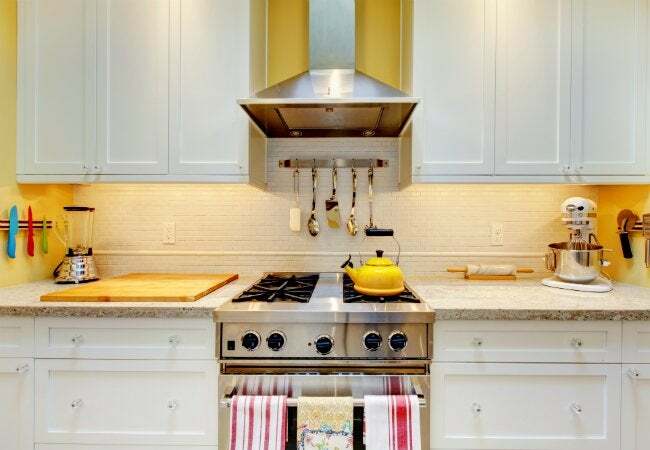 Kitchen cabinets are opened and closed more often than the front door is. Such frequent use—along with leakage, spills, and the cabinets’ proximity to food prep—inevitably leads to grime. In fact, kitchen cabinets are notorious for hosting the sort of stains that remain stubborn against conventional cleaners. If you’ve been battling buildup to no avail, read on to learn how to clean kitchen cabinets using simple, non-toxic items that most homeowners keep on hand. Fill your bucket or bowl with several cups of warm water. Next, mix in your preferred cleaning agent, be it baking soda or vinegar. How much should you add? That depends on which of the two you’ve opted to use. If baking soda, dump in a couple of cups. If vinegar, a couple of splashes should do the trick. Dip a clean microfiber cloth into the mixture. (Don’t use paper towels; they’re too delicate.) Squeeze the cloth to wring out any excess. The cloth should be moist but not dripping wet. Next, test the cleaner on an inconspicuous part of your cabinetry to make sure that it neither dulls nor discolors the finish. Wipe down your cabinets, paying extra attention to the hardware (knobs, pulls, and handles) and to the areas immediately adjacent those often-touched components. Re-moisten the cloth if and when necessary. Start over with new cloths as others become soiled in the process of cleaning. Keep at it until you’ve wiped all of the cabinets and they look as clean as you want them to. Rinse away any baking soda or vinegar residue with a microfiber cloth that you’ve moistened with clean water. Go over the entire area that you previously wiped down with the cleaning agent. Finally, go over the cabinetry once more with a dry cloth. The goal here is to leave the kitchen not only clean, but dry.